An AguaFina exclusive item! 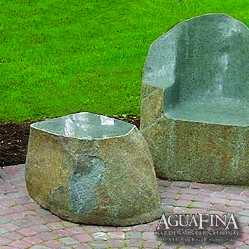 All stone furniture is hewn out of natural granite boulders. The outside surface is a natural stone finish while the top is highly polished. Whether used as an ottoman or an end table, these make the perfect compliment to our stone chairs and sofas.